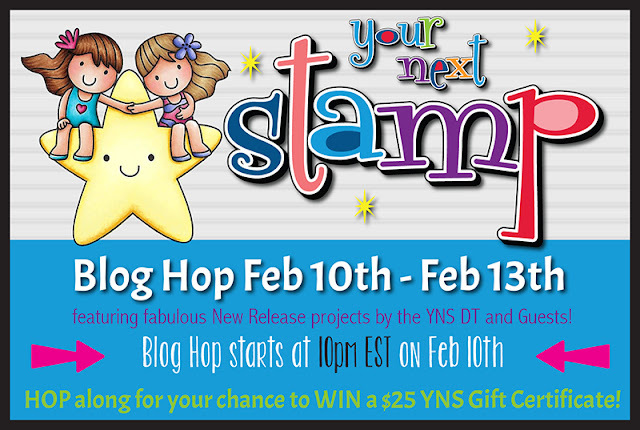 Hollybeary Creations : YNS February Release Preview! Happy Saturday everyone... It's time for a new Release from Your Next Stamp and we are kicking things off with a Sneak Peek at the new Products coming tonight at 10pm EST. Be sure to join us for the New Release Blog Hop and a chance to Win a $25 gift certificate to the store!! 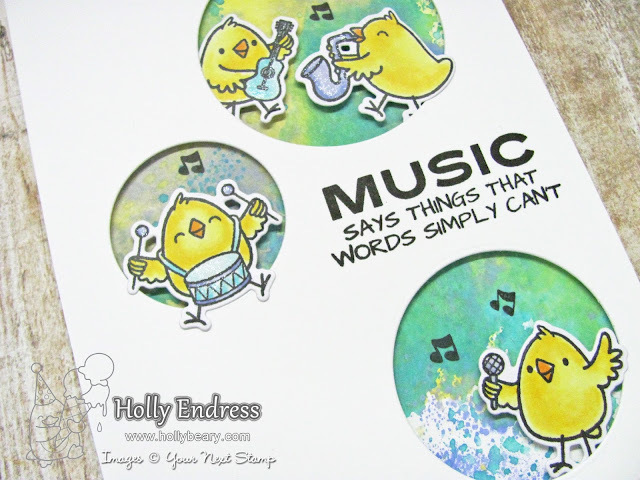 I'm sharing the new Music Chicks Stamp and coordinating die set. These chicks are a riot and I love all the Fun things they've been getting into with each release. This month we have two new Chick sets! I created a background with some Peacock Feathers, Squeezed Lemonade and Shaded Lilac Distress Oxide Inks. I die cut some circles from a White A2 size card front panel using the YNS Circle Die set. 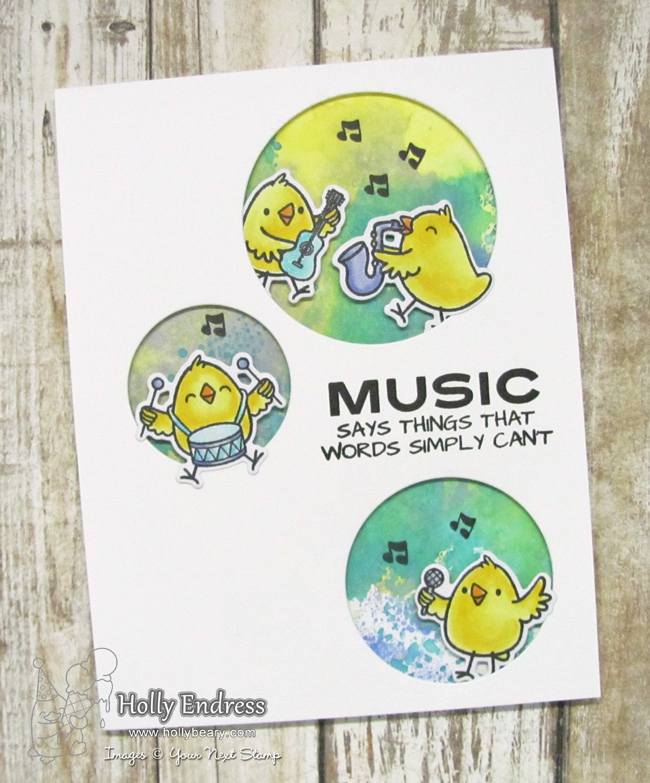 I stamped a sentiment from the Music Chicks stamp set on the panel with some Black Olive ink. Then I adhered the Distress panel behind it using some foam tape. I stamped each chick image onto some X-Press it blending cardstock using Black Olive ink and colored them in with Copic Markers. I used the coordinating dies to trim them out. Then I adhered them into the circles with some foam tape. I stamped a musical note inside each circle as well. So Cute!!! Head over to the YNS Blog for a complete list of the Design Team Blogs and hop along for a sneak at more great products coming in the release! And join us at 10pm for the Offical Blog Hop and all the new products will be available in the store. Awww Holly, this is so sweet and the sentiment is awesome. So true, love this. Sweet music chicks. Lovely card and such a nice background!